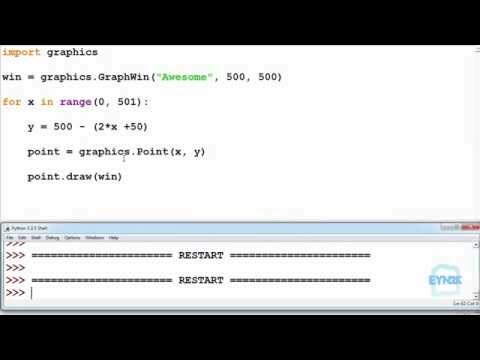 VIDEO PYTHON COURSE – 36 Videos and growing rapidly. Emphasis is on trying to make programming free and fun! 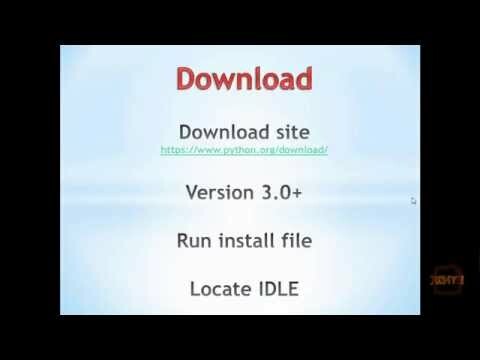 Eyn2k about downloading and installing Python 3.3+. 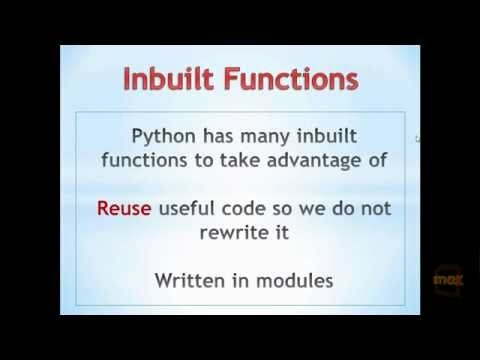 Eyn2k about Pythons inbuilt modules such as generating random numbers and accessing the clock. 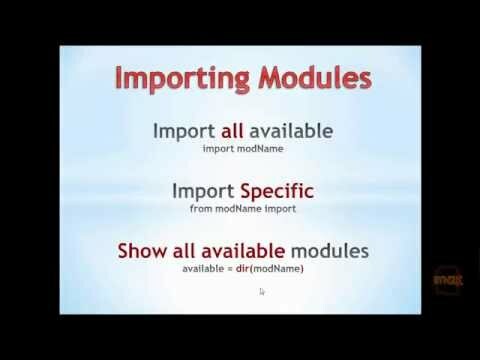 Eyn2k about the graphics module created by John Zelle, this module is a great, fun way to learn scripting in Python. It will help us to visualize our code and be able to quickly grasp Object Orientated Paradigms. 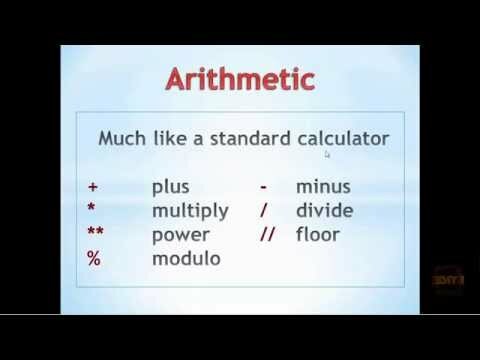 Eyn2k about working with Arithmetic in Python; Precedence and tricks. 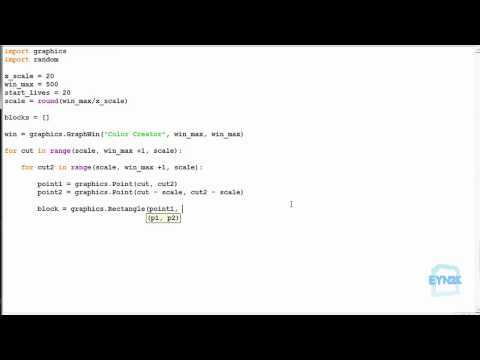 An in depth look at arithmetic operations in the Python console. 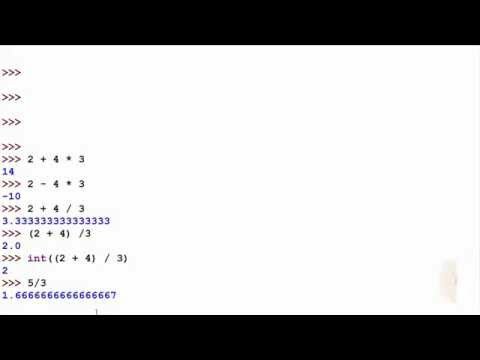 How to solve a quadratic equation in Python and a quick look at floating point errors. 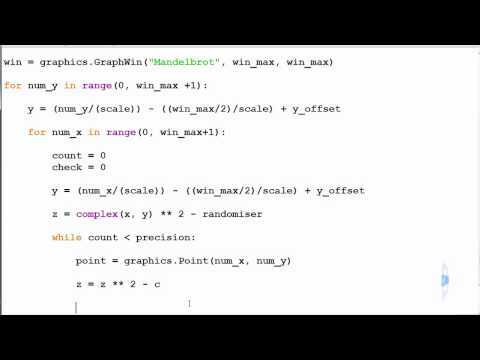 Eyn2k about using the floor and modulo operands in Python. These took me some time to get my head around at first so taking some time to familiarise yourself with them is no shame. 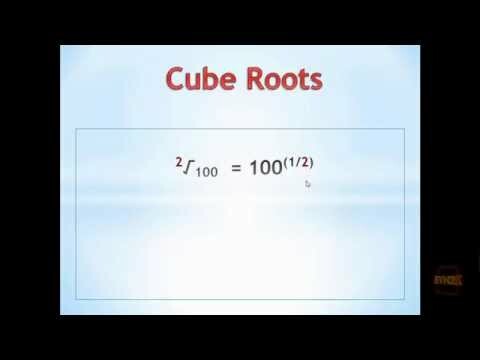 Eyn2k about accessing cube roots of values and floating point errors in Python. 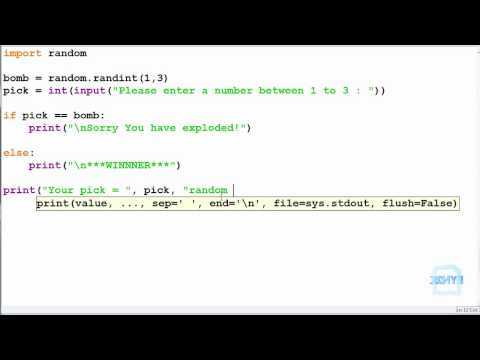 Eyn2k about assigning variables in python and the Python “Run-time stack”. Take some time to play with variables, building the tools to write ‘beautiful code’ in future. 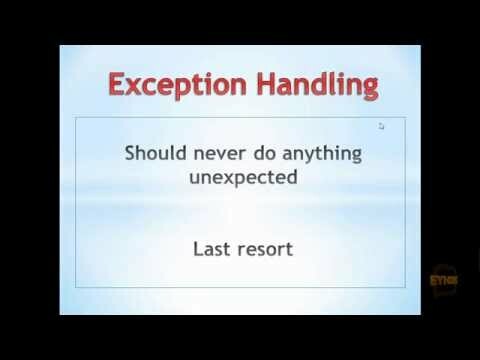 Eyn2k on Variable Types, dynamically typed languages and an introduction to sets. 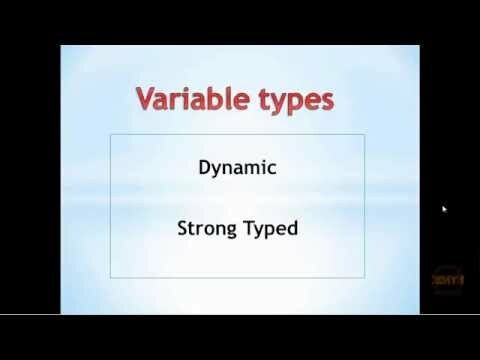 Take some time to play variable types, fundamental for strong programming. 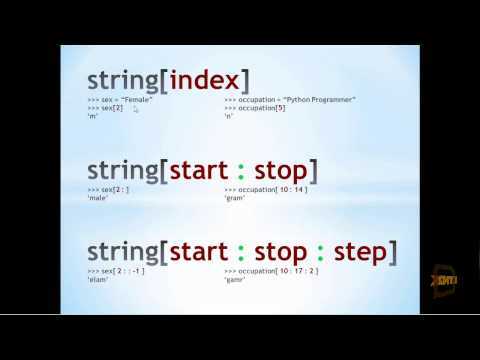 Eyn2k about string manipulation in Python. 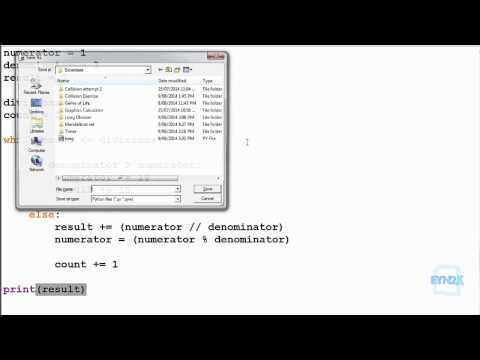 String concatenation, repetition, immutable and mutable and indexing. 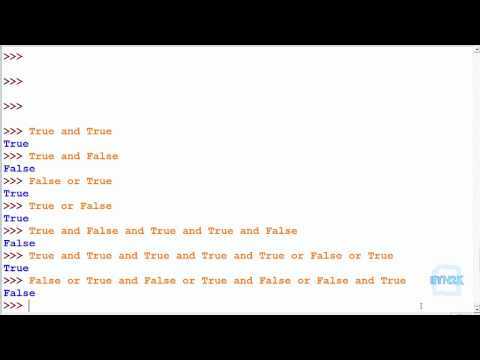 These tools are often overlooked with great peril to the individual later when programming, you will encounter inputs which need manipulation often. 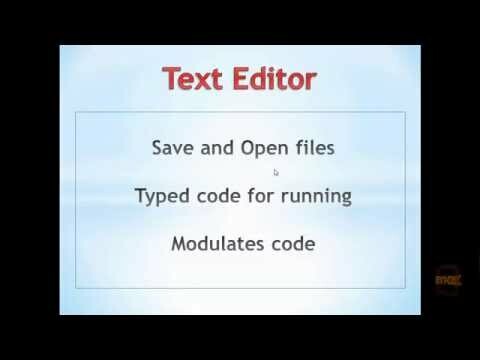 Eyn2k to get started in the python text editor, this is where you write your code so that you can save and run it in future. 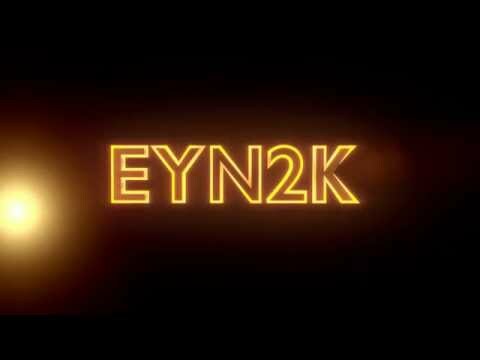 Eyn2k about getting user input from the console so that it can be manipulated and the result displayed back to the console. 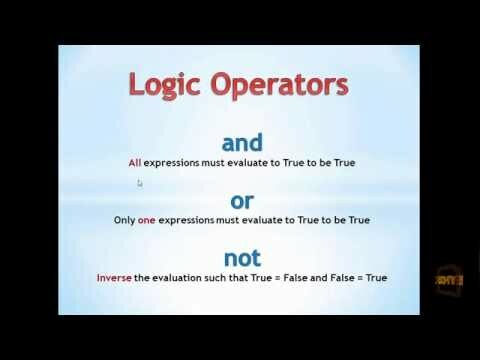 Eyn2k about if – elif – else control flow, Logic Operators, an introduction to Boolean evaluations and Comparison Operators. Eyn2k about Boolean operands and optimising checks for faster results. Eyn2k about the ‘if-elif-else’ control flow. A closer look at its structure and essential elements. Eyn2k about Pythons for loop. 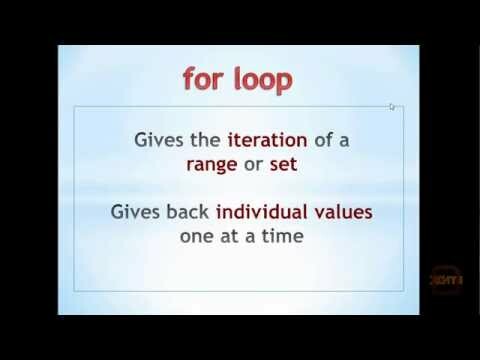 If you have come from another Programming language, with a little practice you will quickly come to enjoy pythons ‘for loop’ being able to quickly give you access to individual elements one at a time. 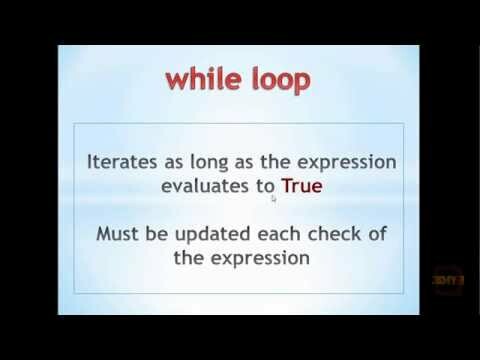 Take a further look at accessing individual values using the ‘for loop’. Become familiar with using the length of an object to grant access to its index values. Create an image in the graphics window; this is a building block exercise for creating a graphics calculator with advanced Polynomials, Trigonometry and a check for zeros and other functions. 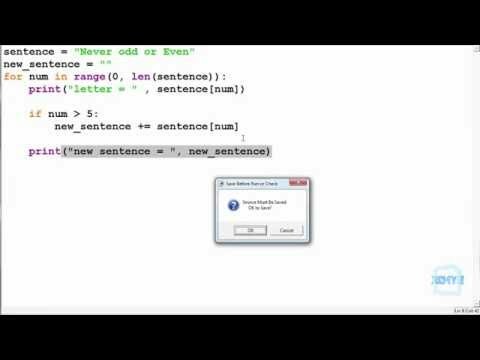 Eyn2k about the while loop in Python and how to escape from the dreaded infinite loop. 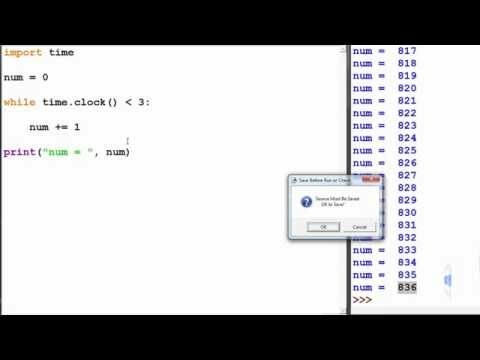 A fun and interesting look at exercises for the while loop using a clock to time something and displaying the outcome. The result may surprise you! This is a cool exercise that will allow the user to click a point in the graphics window and zoom into that location. This is one of our favourite exercises, this little practical exercise will show you how easily you can create some really cool and powerful things using only a points of check for control flow. 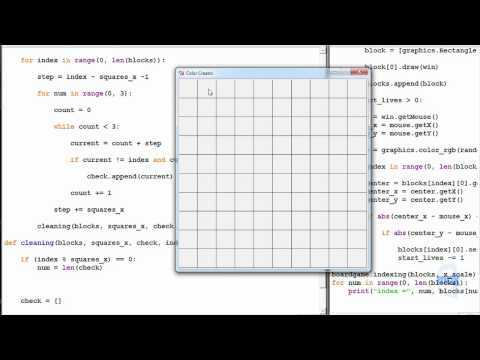 Create a gridded window to a scale dependent on a variable. We will colour the blocks we click on the grid a random colour in this instance showing how to create your own colors using the graphics module. 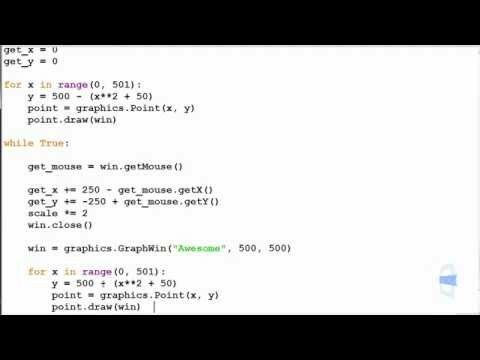 This exercise is a building exercise for John Conway’s game of life and creating board games in Python. 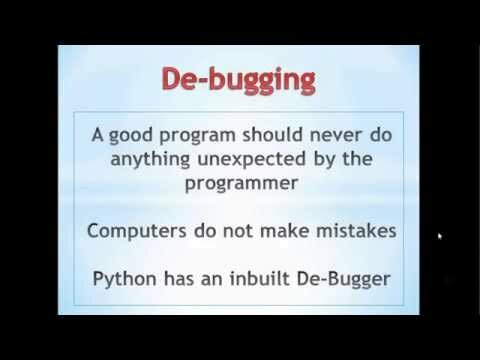 Eyn2k about Pythons inbuilt de-bugger and avoiding bugs in the first place. Eyn2k about writing to and reading from text files and storing the result in variables for manipulation. Eyn2k about list indexing and manipulation in Python. As you may see, this is a much loved variable of ours, its versatility as an object is great for quick practical use. 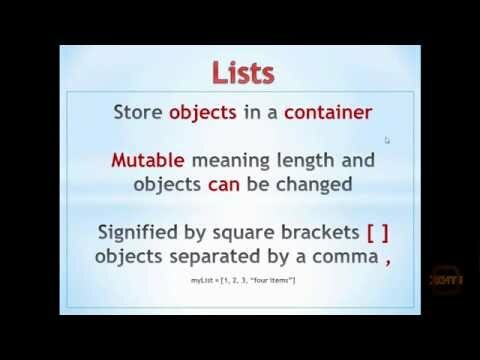 Lists are a mutable container. 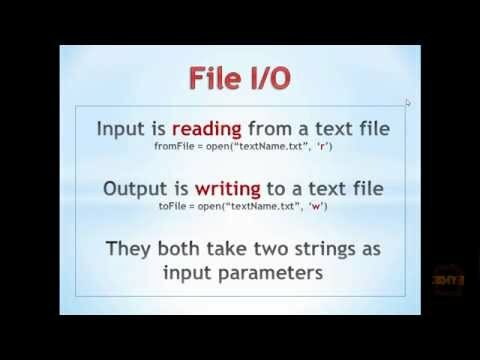 Eyn2k about manipulating tuples in Python, an immutable container, which you will encounter often in Python. 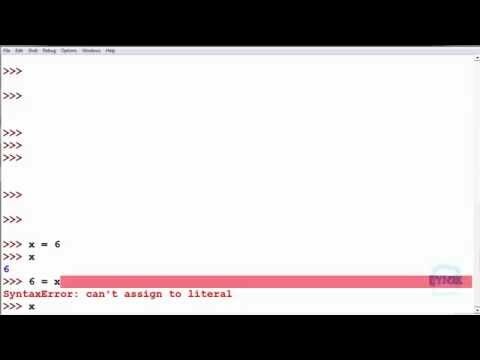 Eyn2k about accessing dictionary ‘key’ – ‘values’ and manipulating items. 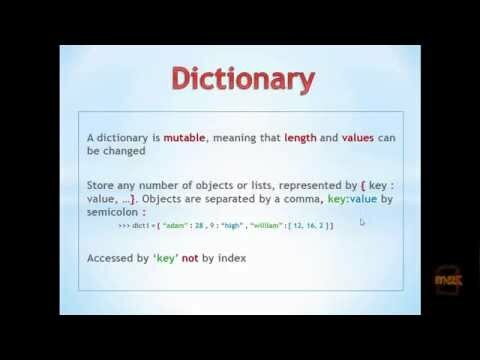 Dictionaries are a mutable container. 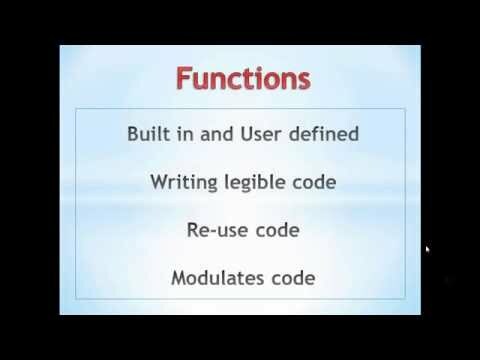 Eyn2k about using functions in Python, a necessary step to writing ‘beautiful code’. 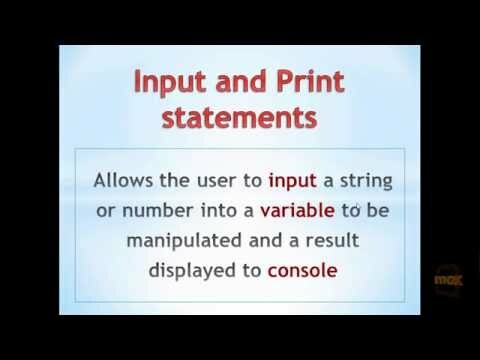 Understanding Functions in python is essential, so take your time getting through the next few tutorials and exercises. Eyn2k about Local and Global variables in Python. 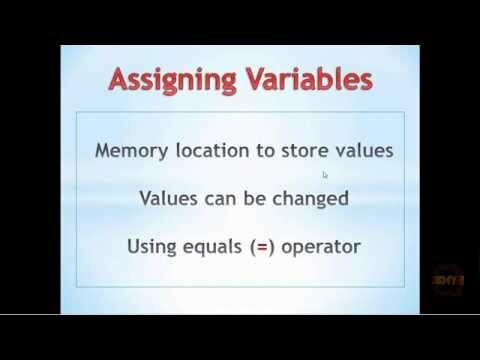 Spend some time practicing manipulating Variables in both instances. 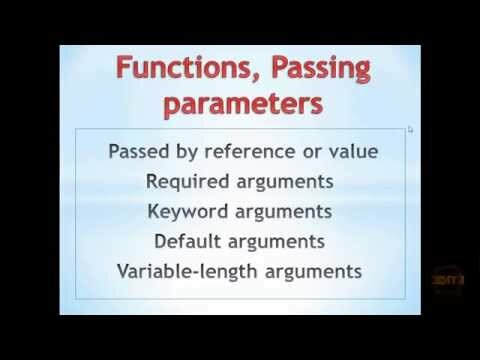 Eyn2k about the five ways of passing parameters in Python. Each will become useful at some point in time and this Tutorial in particular may require some time. 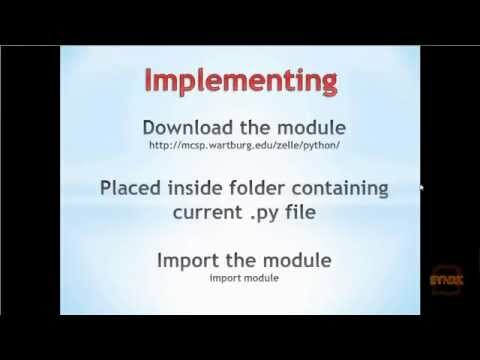 Eyn2k about creating using and writing your own modules in Python. This is something that you will come to like more over time, its usefulness is not always apparent early. This exercise will allow you to gather information on objects next to a given block on the board. This is the building blocks to creating a board game in Python and John Conways “Game of Life”. This is a very cool exercise to creating John Conways “Game of Life”. This requires indexing the neighbours of every block and checking if it needs to be born or dying. 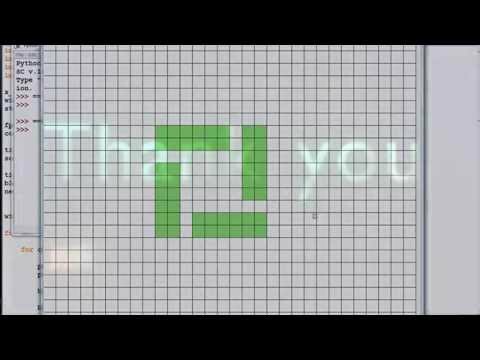 New Neat little exercise, surprisingly cool results!